I posted my follow-up on the GEO Bella Brown. CLICK HERE -- I took more pics with the lenses on. I was so excited when I got home saw that my pinkyparadise order came home. 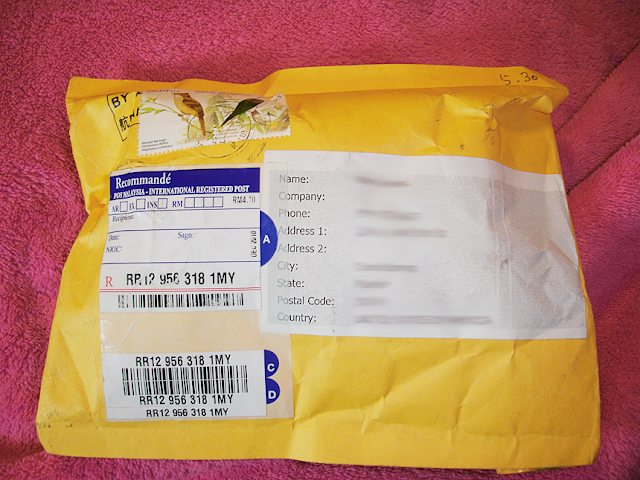 I ordered the circle lenses on April 23rd and I received it on May 7th . The shipping was a little long, or maybe I'm was just too excited and impatient to get the lenses. So here's my review of the GEO Bella Brown. I'm slightly astigmatic in my left eye and so I needed a high prescription. Pinkyparadise caries the prescription I have (-6.00) but with my experience wearing circle lenses, every time I order them in the my regular prescription the lenses would always be a little blurry. So this time I wanted to try out a higher prescription ordered them in -6.50. The package came in this envelope. Yay, I love getting packages! The vials are wrapped in this pink protective foam sheet secured with tape. Checked the lenses for any signs of tampering, expiration, or deformity. This cute polka dot bow kamipita came with my order . 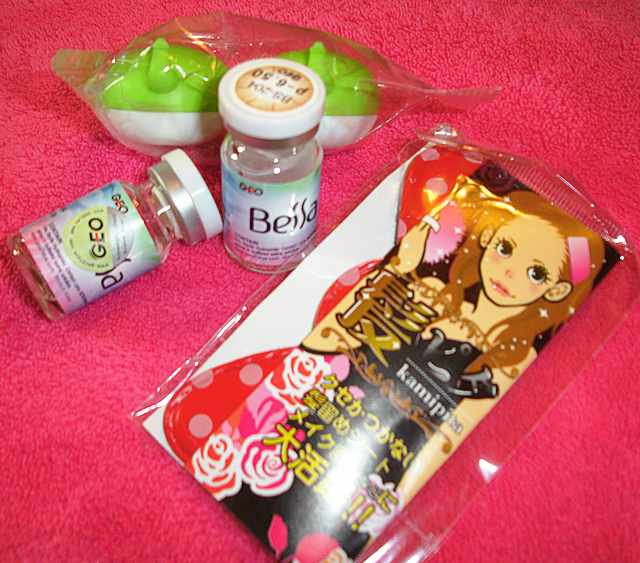 Yay, thank you Pinkyparadise for the complementary gift . The lenses also come with a free animal case from Qcase. I got the adorable green elephant! I this Kamipita. It reminds me of Hello Kitty because the bow is big exaggerated . 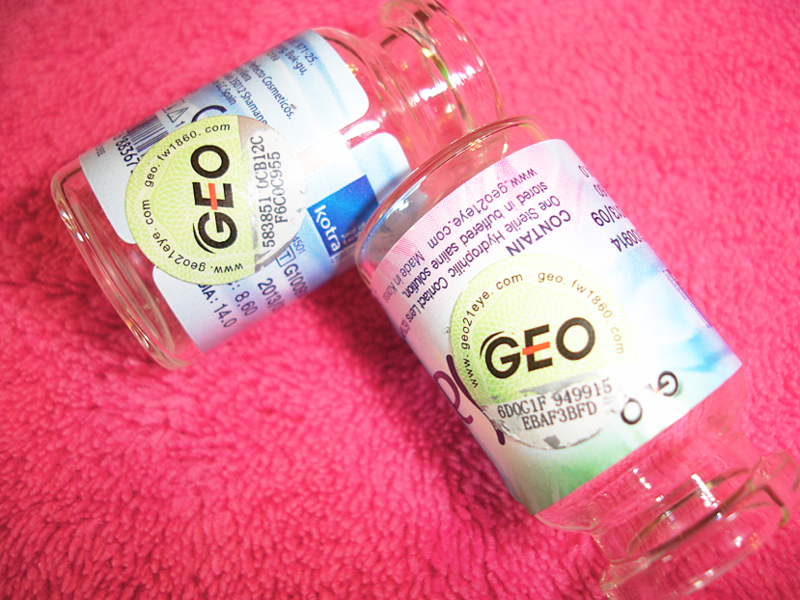 Here's the vial with the GEO authentication scratch off. 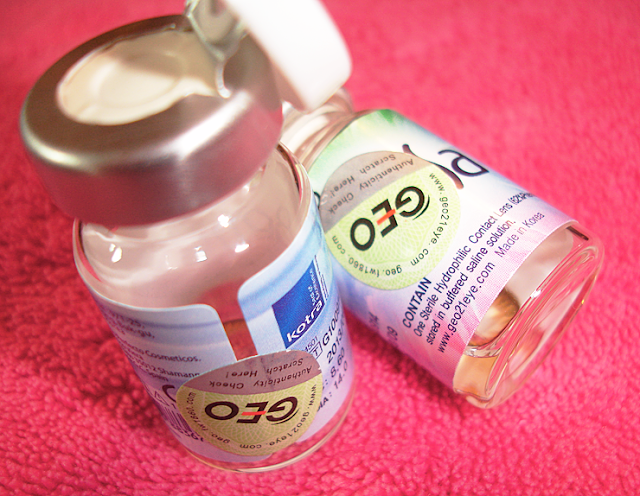 After successfully prying the vials open, I soaked the lenses in a multi-purpose contact lens solution. After soaking the lenses for several hours, I tried them on. To my dismay, one lens is defective . The right lens is fine. I can see clearly with it. My left lens is unfortunately making my vision SUPER blurry. It's as if I ordered it in PLANO. Wth I tried reversing the lens to see if it made a difference, but still no change. Yup, one lens is defective . I contacted Pinkyparadise regarding this matter to see if I can get a replacement lens. I'm still waiting for a reply. I'll keep you guys updated on that. Ugh, its such a shame cuz these lenses are gorgeous. Here's a pic of the defective lens. Also upon closer inspection, the defective lens is darker in color. It's a manufacturer flaw. I don't know if that's related to the blurriness or not but it definitely isn't how it's supposed to be once the lens is worn . I love the way the GEO Bella Brown lenses compliment dark brown eyes. 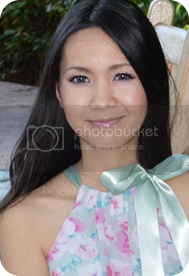 It brings out warm hues and adds a subtle hint of glamor to dark brown eyes. In person, you barely notice that you have these lenses on....they are just that natural. It's a pity the other lens is defective. I was sooooo excited to wear them too. Gah, oh well, I guess I'll have to see if I can resolve this problem with Pinkyparadise. 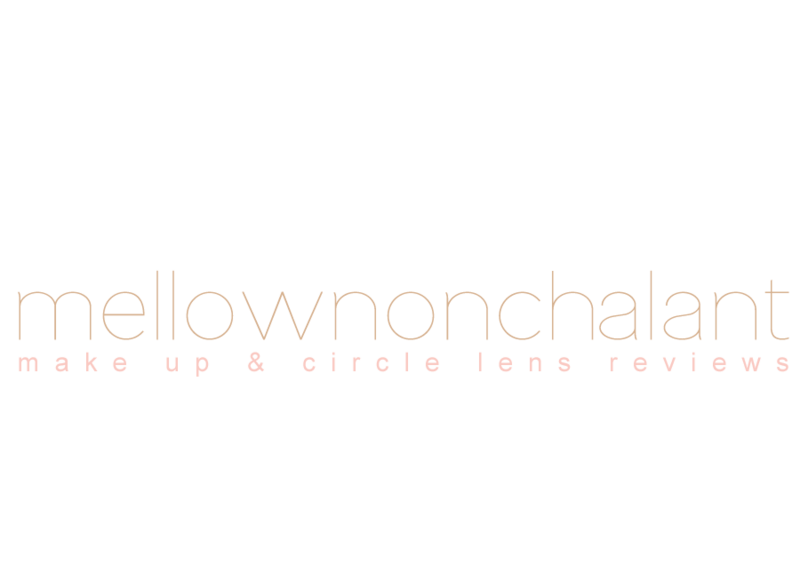 Color: The lenses are very pretty and natural on. Perfect for a little drama, def adds muted golden tones to the eyes. 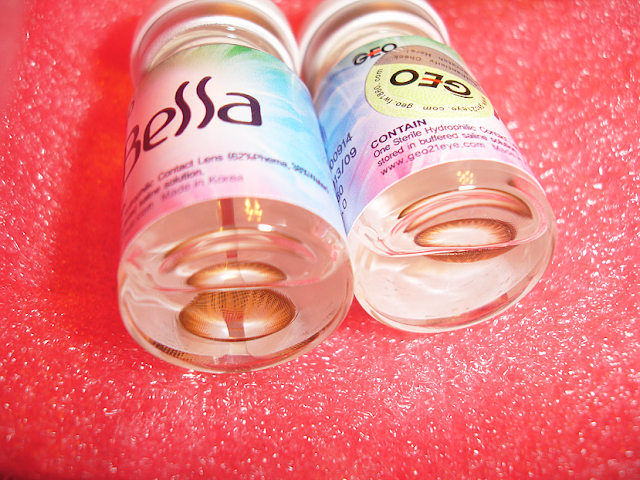 Comfort: these lenses are more comfortable than most of the circle lenses I own. There's a slight drag every time I blink but its not bad. I've had worse circle lenses that feel as if the lenses are gonna come out if you blink. Design: the lenses have a sunburst design with a dark brown limbal ring. I love that it doesn't have the black ring around it cuz it would be too obvious and unnatural. Price: Retail price on PP is $19.90. Its very reasonable these lenses are beautiful. Worth every penny. Enlargement: Just because I'm not into the freakishly huge dolly eye effect. I love the 14.0 diameter of these lenses since it gives off a subtle enlargement but not too much. Its perfect in my opinion. Overall Rating: I'm holding back on giving it the perfect score since the other lens is defective. Other than that, the GEO Bella Brown is fantastic. -----I'm still waiting on Pinkyparadise to get back to me... ...I really hope it all works out. Someone essentially help to make seriously articles I'd state. That is the very first time I frequented your web page and so far? I amazed with the research you made to make this particular put up incredible. Excellent task! accessories, accessories, earstuds, necklace, rings, bracelet, hair & bracelet add-ons. It's the little changes that produce the most significant changes. Thanks for sharing! Hello colleagues, its fantastic paragraph about tutoringand entirely defined, keep it up all the time. Hi there mates, its enormous article regarding tutoringand completely defined, keep it up all the time. loads. I'm hoping to contribute & help other customers like its helped me. Great job. a person that truly understands what they are talking about on the internet. it important. More people have to look at this and understand this side of the story. I can't believe you aren't more popular since you definitely possess the gift. accession capital to claim that I get actually loved account your weblog posts. Any way I will be subscribing for your feeds or even I success you get admission to consistently rapidly. I seldom comment, but I looked at a few of the comments on "GEO Bella Brown (BS-204) Review". Could it be only me or do a few of these remarks appear like they are left by brain dead visitors? :-P And, if you are writing at other sites, I'd like to keep up with you. Could you list of every one of your public sites like your linkedin profile, Facebook page or twitter feed? your site, I seriously like your technique of writing a blog. 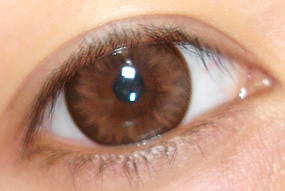 Hey, would these look good on darker skin...I have light brown, and kind of reddish, tan skin. Lol....and did they blend in well with your eyes? 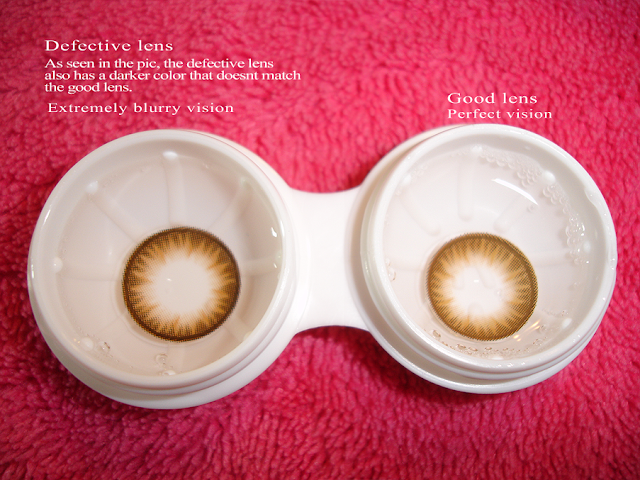 I want very natural lenses, and I don't know whether to choose from DM23 Choco Brown, or Geo Bella Brown. I also don't like the doll look, I don't want people to notice I have contacts on at all. I'm a makeup lover who is into uber cute things, drawing, watching movies, kdrama & jdrama, and reading YA novels. I ♡ MUSIC. It brightens up my day. © ♥ MELLOWNONCHALANT. Layout and coding by me. Simple theme. Powered by Blogger.